Kyrie Irving is the cover athlete of the console version and he's shown wearing a Cavaliers jersey. Kyrie Irving was dealt from Cleveland to Boston in exchange for Isaiah Thomas, Jae Crowder, Ante Zizic and draft picks. The move came after the video game had already announced him as the cover athlete with a picture in his Cavs uniform. 2K Games chose Kyrie Irving as the face of its latest cover, but when the Cleveland Cavaliers traded the point guard to the Celtics on Tuesday, the video game became outdated before its Sept 19 release. You can be almost certain that a new NBA game from 2K Sports will be available for purchase, now, NBA 2K18 is available on a variety of platforms, for more updates, latest news, images & release dates of NBA 2K18, see more at here. 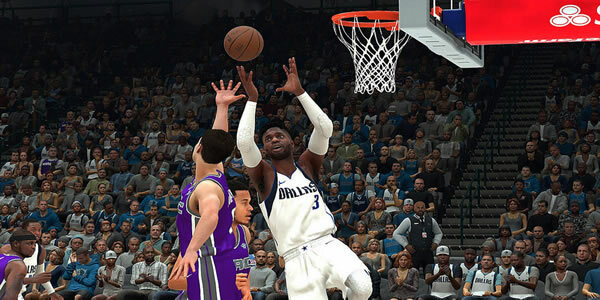 NBA 2K18 aims to carry on the franchise's legacy of being the gold standard in basketball simulation by providing players with a realistic gaming experience that mirrors true National Basketball Association (NBA) gameplay. U4NBA must be your best choice as this professional website provides the instant delivery and cheap price.